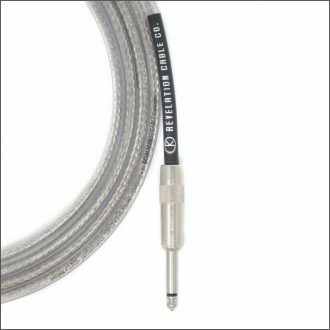 Gotham Audio Cable has a long prestigious history beginning with it’s relationship with Neumann microphones in the 1950’s. As the US distributor of Neumann, Gotham Audio felt Neumann’s U-47 demanded a cable that could live up to the standards of quality the U-47 afforded. It is this series of cables (IC-3) that became a standard accessory for Neumann microphones in the US. Gotham’s GAC-1 Ultra-Pro stands in this tradition with it’s double reussen shielding (two-layers of 100% coverage spiral shielding wound in opposite directions) used for optimal protection against radio frequency (RFI) and electromagnetic interference (EMI). 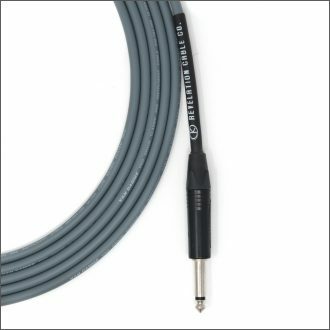 Furthermore, the Ultra-Pro protects against microphonic noise (static) by using a semi-conductive PVC between the insulation and shielding as well as between the conductor and insulation, an extra step many companies don’t take. With a super-low capacitance of 21.3pF/ft (70pF/m), flexible jacket and exceptional shielding you can’t go wrong with the GAC-1 Ultra-Pro. Coming in three colors (black, red and marine blue) with the option of G&H or Neutrik connectors and your choice of heat shrink, these cables are the ultimate in customization.